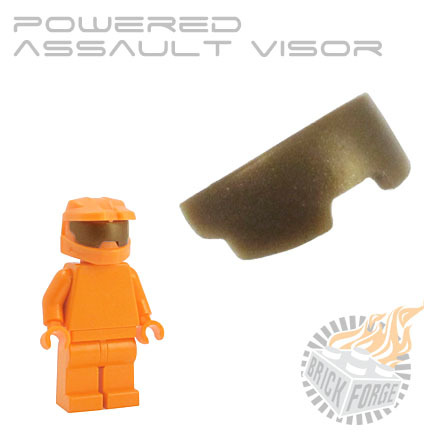 The Powered Assault Visor is exclusively intended to fit our Powered Assault Helmet. Choosing from a variety of colors you can limit the amount of light that enters the helmet or pretend to command your troops via heads up display. The visor simply snaps into the Powered Assault Helmet using two small pegs on either side.